Why Insecure Reminds Us of How Far Television Has Come — EveryStylishGirl. Before there was Insecure, #LawrenceHive, and even Awkward Black Girl, there was a scarce amount of people of color on primetime television, let alone black women. Fortunately, we now live in a world where Molly’s charm and Issa’s clumsiness provide a collective understanding of the personalities, lives, and problems of women of color. But let’s not forget that there was once an endless portrayal of black women as the sassy or overly sexualized friend of the white female lead. In 1939, Ethel Waters became the first African American woman to star in her own television show. Slowly but surely, black girl magic has made its way to household television screens all over the country. With Khadijah James’ wit in Living Single and Joan Clayton’s awkwardness in Girlfriends, directors and producers were finally ridding the world of the single narrative of black women in the media. The overall production of these televisions shows have revolutionized the ways in which artistry within the black community is displayed on television. 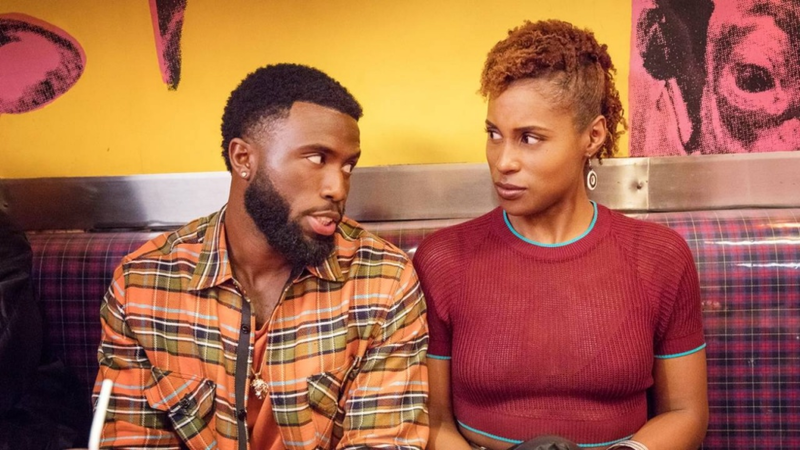 From the use of HBCU sweatshirts as part of the costumes to having up and coming black artists as part of the music, Insecure continues to pay homage to the black female-led television shows that paved the way. Despite the fact that Toni Childs Garrett and Molly Carter resemble each other, the friendship that these four women share on the show is just as telling and honest as that of Issa and Molly. What would Joan Clayton’s life be like without Toni’s tell it like it is attitude and unwavering confidence? The same can be said for Molly and Issa. Leave it to Issa to show up to Molly’s stunning apartment with a bag of Hot Cheetos after a fight. With Living Single’s own Maxine Shaw being the star of the television show, KEV’YN, within the show of season 3, it’s a no brainer that this 90s classic has influenced the HBO hit. Aside from the focus on black friendship, both shows emphasize black culture through clothing. These shows have us Google searching all of the best black empowerment sweatshirts to add to our wardrobes. Just like Issa, Whitley had to wait on the potential of her partner to either make it or break it through and out of college. Although Issa and Lawrence’s relationship didn’t work the way we wanted it to, Whitley and Dwayne’s relationship is one we continue to live vicariously through. Finding “the one” is hard enough for women, but being a successful black woman like Mary Jane Paul and Molly Carter doesn’t make it any easier. Both shows shed light on the struggles women of color in high positions face when balancing their careers and their love lives. What can we say, we’re just trying to make our cake and eat it too.